Every ONA conference is driven by ideas from the digital journalism community. In the spring, we take session pitches through the Suggestion Box, and throughout the spring and summer, the Program Team helps select and build out sessions. Now, just before the conference, we’re opening up two more ways to get involved: the Lightning Talks and the Unconference. If you’ve got an idea for a full-blown conference session, you should pitch the unconference. If you’ve got a big idea to share and the guts to present it in five minutes or less, send us your lightning talk by Thursday, September 15. The best part about lightning talks is that they are exciting, fast, invigorating and full of good ideas. Figure out what you want to talk about. (A highlight reel on a great project, your side hustle that no one knows about yet, a love letter to your favorite beat … the sky’s the limit, as long as you’re PASSIONATE about it). Pitch your idea to the ONA16 Lightning Talks. Convince your friends and other conference attendees to vote for your session. You can use #ONA16lt to join the conversation on social or our main conference hashtag, #ONA16. Vote for your own session and other lightning talks you want to see. Voting takes place at the conference on Friday. When you win, (as you will since you will have submitted an exciting idea that you are passionate about and people are fascinated by), prep your lightning talk! Keep it under five minutes and get to the point quickly! No need for lots of background — explain your idea as quickly as possible. If you make a presentation, use it to show the audience good examples and great jokes. Don’t create a slide deck of every word you are going to say. We can’t read that fast. Give your awesome lighting talk in front of ONA16 attendees on Saturday, Sept. 17 from 4 – 5 p.m., after our Saturday keynote and before the Online Journalism Awards banquet! Help shape the conversations at ONA16! This year, we’re using Hearken to connect you to speakers in advance of the conference. This is your opportunity to ask some of the top minds in journalism questions about all things digital. The more questions you (and your digital journalism friends) submit, the better our speakers can tailor their talks to what you care about most. If you’re curious about an emerging trend, want to know more about a topic or are hoping that speakers will dig into a specific issue during their sessions, now’s your chance to post a question. We’ve embedded question forms on the session pages. To see them, just click on a session from the schedule and you can post your question directly on the ONA16 site. We’ve created hashtags for each session, so you can keep the conversation going on social media, too. For example, if this is your first time attending the conference and you are curious about what to expect, how to plan your day, or what sessions are a can’t-miss, just ask the speakers leading the first-timer orientation a question. We’re looking forward to seeing your questions! Our conference hotel, the Hyatt Regency Denver at Colorado Convention Center, is at 650 15th Street, Denver, Colorado, USA, 80202. Check out our travel recommendations. The least expensive way to get from Denver International Airport to the hotel is using RTD, Denver’s $9 rail and bus service. Our friends at 5280 and our resident foodie Jess Strelitz have pulled together great tips for food in Denver and near the hotel. And make sure to check out this helpful post aimed at your last-minute needs: what to wear, where to find shopping near the hotel (toothbrush? outfit change? bottle of bourbon?) and more. When planning out your schedule, you’ve got options: Our responsive conference website looks lovely on your mobile. The interactive schedule on the ONA16 site is the best place to go for live updates and video streaming (where available). If you want to build a schedule, you can use our mobile app. Simply download the Grenadine Event Guide from the iOS or Android stores and use the code ONA16. You’ll receive a print program at registration, but remember, the online schedule is always your most up-to-date option, complete with any last-minute room, program or speaker changes. We hope your schedule includes more than just sessions. Check out our definitive list of ONA16 parties and special events, including special receptions, meetups around town and early-morning yoga on the terrace. Conference time! As always, we’ll bring together lots of smart and talented people working on incredible projects. There are a number of can’t-miss sessions for me this year, including the obvious: a great selection of keynotes that range from insights from Facebook’s Product Director Fidji Simo on how news organizations can work with the platform, an important talk about inclusivity in newsrooms (thrilled to have Jose Antonio Vargas returning to our conference stage! ), and an inside look at the rise and unknown future for reported.ly, an innovative and inspiring approach to breaking news. If you’re looking for me next week, I guarantee you can find me in the front row for all of those. But don’t let the keynotes be the only sessions you make it to next week. I know there are happy hours calling your name, but the most inspiring part of our conferences is hearing from journalists doing excellent work. Some of the sessions I am most excited for this year deal with audience engagement. I LOVE to think about how news organizations can find meaningful ways to reach people with news they care about, and this selection of sessions gives you a well-rounded look at innovative practices to take back to your newsroom. Welcome to the Snapocalypse: Navigating, Surviving … and Thriving? … With Distributed Content If you’re interested in creating content for distributed platforms (SnapChat, Facebook Instant Articles, etc.) and want to learn how to measure success, don’t miss this one. It’s got four super-smart journalists from four very different outlets — reported.ly, CNN, ESPN and NowThis. I guarantee you’ll walk away with new ideas AND smart things to say to the non-believers out there. Getting into the Weed: Launching a Successful Niche Digital Media Product Yes, this session is about what it’s like to report on marijuana in a state where it is legal. It is also about developing a relationship with new audiences through great coverage and real community engagement. Do Audience Better: Lessons from 150 Newsrooms and a Year of Writing Code for The Coral Project Can I just put a bunch of praise hands emojis here instead of explaining in words how much I appreciate The Coral Project?  Most well-known for embracing the comment section and the communities that flourish around them, The Coral Project creates tools that help journalists connect with people. Great ethos, great people, great tips for connecting with the people you want to reach. F* It, We’ll Do It Live: Workshopping The Hows & Whys Of Live Stream Part I Oh, a workshop about Facebook Live? Yes, please. And a session that focuses on why live streaming is so popular? Yep, there, too. Engaging Audiences with Live “High Def” Journalism Events provide a meaningful way to connect audiences with stories, as well as a range of revenue and engagement opportunities. We’ve been paying attention to the work Megan Finnerty has been doing at the Arizona Storytellers Project for years, and I’m so interested to hear more about how she scaled the project with Gannett. Two bonus sessions that don’t deal exclusively with audience engagement and events but are of interest to everyone since they feature incredibly smart people on important topics: Rethinking ‘Diversity’: How to Cover Race & Inclusion (learn who is getting it right and how you can be sure your outlet does, too) and Fail Fest 2016: I Failed, It Sucked, But Here’s How I Bounced Back (hear from top-level editors about the times their projects really didn’t work). These are just some of the sessions that will help you find ways to better connect to your audience. I’m super-stoked this year that ONA is using Hearken to help us get feedback from our community in advance of the conference. If you have a question for a speaker, click through the session title from the ONA16 schedule to send it in advance. Over three days, ONA16 is hosting dozens of sessions that will help you improve your digital storytelling. Here’s a peek at the sessions at this year’s conference that focus specifically on mobile storytelling and tools. Whether you want to listen to industry experts, do a deep dive in a workshop, or participate in an intimate, interactive discussion with other digital journalists, we’ve got you covered this year. New this year: You can now ask mobile experts questions in advance of the conference. Get answers to your mobile questions and help speakers understand what you’re most interested in learning more about by posting a question on the session page. Just click through to the sessions below and drop your question in the embedded form. Designing More Emotionally Intelligent Digital Experiences. Good design can open up a conversation and help connect people in more meaningful ways. We’re thrilled that Anjali Mullany, Editor at Fast Company, will be exploring how organizations have been experimenting to let audiences express their emotions online, with everything from emojis to filters, and how these experiments can potentially spark more empathy between audiences and the media. Product-ify Your Newsroom: Innovate with Product Thinking. This session is aimed at journalists and editors who want to learn the fundamental principles of product design and how they can use them to improve workflows and inspire the newsroom. Hear from The Wall Street Journal’s Head of News Product, Katharine Bailey and Mobile Project Manager, Greg Emerson, as well as Hailey Persinger, Associate Product Manager at The New York Times. WORKSHOP: It’s Not Mobile First. Think Content First. For years, we’ve heard about the importance of having newsrooms think mobile first. Allison Morrow, Editor, Emerging Media at the Wall Street Journal and Sarah Squire, Executive Editor for Data, Graphics and Visuals at Dow Jones Media Group will show you why it’s import that to think content first, focusing on the story and how audiences will connect with it. In this workshop, you’ll learn how the content-first approach has worked effectively, then take some story ideas and prototype content-first strategies. TABLE TALKS: Mobile Tools + Design. We’re bringing back the popular Table Talks that we debuted at ONA15. Sit down with a small group of industry-experts and your peers to talk through the issues that you are most passionate about related to mobile tools and design. Note: topics will be announced closer to the conference and we are not taking questions for speakers in advance for Table Talks, since these are participatory conversations. We’re looking forward to talking about how news organizations can create better experiences on mobile and beyond. These sessions represent just a small section of what we’ll be focusing on at the conference this year. Be sure to check out the ONA16 program for a more complete picture of the sessions happening September 15-17 in Denver. ONA is now accepting applications for three fellowship programs: the MJ Bear Fellowship, which supports promising early-career journalists, and the CNN Diversity Fellowship and the HBCU Digital Media Fellowship at ONA16, which both support journalists attending the upcoming Online News Association Conference (ONA16) in Denver. We are thrilled to offer these opportunities for journalists to develop skills, connect with industry leaders and put a spotlight on their journalism schools. Applications for all of the fellowships are due by July 14 at 11:59 pm. ET. 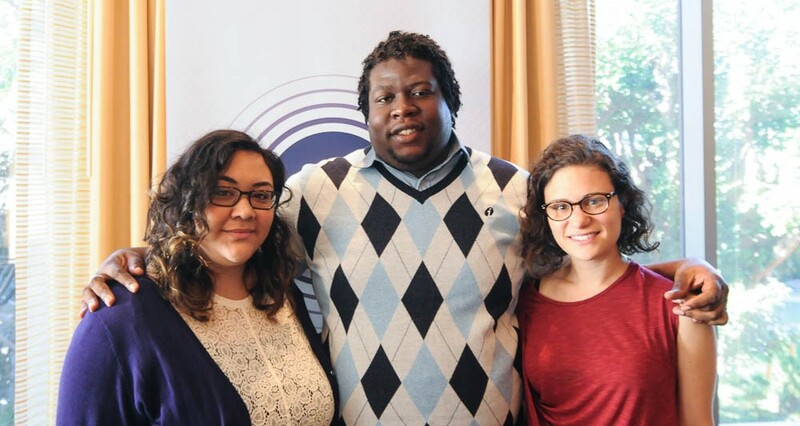 The MJ Bear Fellowships are awarded to three stand-out journalists under age 30 — two in the United States or Canada and one international, in partnership with MSN International — whose innovative work in independent, community and corporate news represents the best of new media. We’re looking for fellows who have been working on innovative digital journalism projects and who will benefit from working with mentors. Check out the previous classes of talented MJ Bear Fellows and read about their projects for inspiration. The CNN Diversity Fellowship at ONA16 will be awarded to four digital journalists from diverse backgrounds with a passion for creative storytelling on mobile and social platforms and experience with producing and/or curating content for mobile web and apps. We’re now accepting applications for the HBCU Digital Media Fellowship at ONA16, supported by the Knight Foundation. 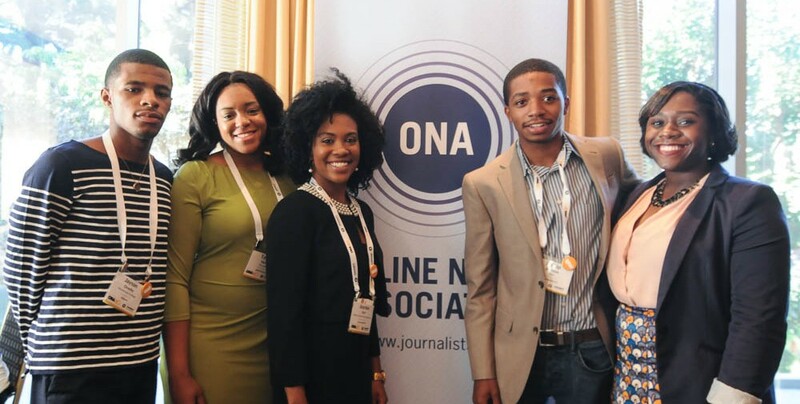 Four students from Historically Black Colleges and Universities (HBCU) will receive hands-on experience reporting over the three days of ONA16 and will learn from some of the best and brightest mentors in the industry. Four nights’ lodging at the Hyatt Regency for out-of-town participants (shared room).